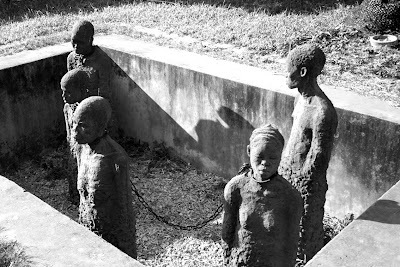 Memorial to Arab slavery in Zanzibar (in the grounds of the Anglican Cathedral). Not only the Christians and Jews govern slavery. The Arabs were also involved in governing slavery. Our ancestors wanted us not to forget and to take revenge by abandoning Islam due to this great sin committed by Mohammed and his cronies. They created statues for their children not to forget and to take revenge by any means necessary.